Angiotensin is an oligopeptide in the blood that causes vasoconstriction, increased blood pressure, and release of aldosterone from the adrenal cortex. It is a powerful dipsogen. It is derived from the precursor molecule angiotensinogen, a serum globulin produced in the liver. It plays an important role in the renin-angiotensin system. Ischemic heart disease is a growing cause of heart failure owing to the increasing prevalence of diabetes, hypertension, and obesity. Stroke and myocardial infarction (MI) are a significant cause of death and disability worldwide. However, over the past several decades because of advances in medicines (thrombolytic agents, antiplatelet drugs, beta blockers, and angiotensin converting enzyme inhibitors) and approaches to restore tissue perfusion (percutaneous coronary intervention and cardiopulmonary bypass), the mortality of MI has declined dramatically. The U.S. Food and Drug Administration today released a warning letter issued to Zhejiang Huahai Pharmaceutical Co. Ltd. (ZHP), in Linhai, Taizhou Zhejiang China, the manufacturer of the active pharmaceutical ingredient (API) found in valsartan that is the subject of an ongoing FDA investigation into probable cancer-causing impurities in certain commonly prescribed heart medicines. 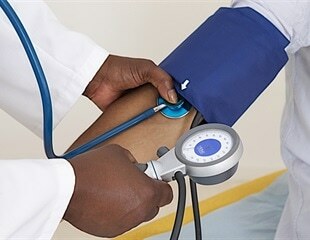 Drugs that inhibit a hormone that constricts blood vessels also help improve sodium excretion in blacks who hold onto too much sodium in the face of stress, investigators report. Treatment with a drug to lower blood pressure slows enlargement (dilatation) of the aorta in children and young adults with Marfan syndrome, according to late breaking results from the AIMS trial presented today in a Hot Line Session at ESC Congress 2018. Taking vacations could prolong life. That's the finding of a 40-year study presented today at ESC Congress and accepted for publication in The Journal of Nutrition, Health & Aging.